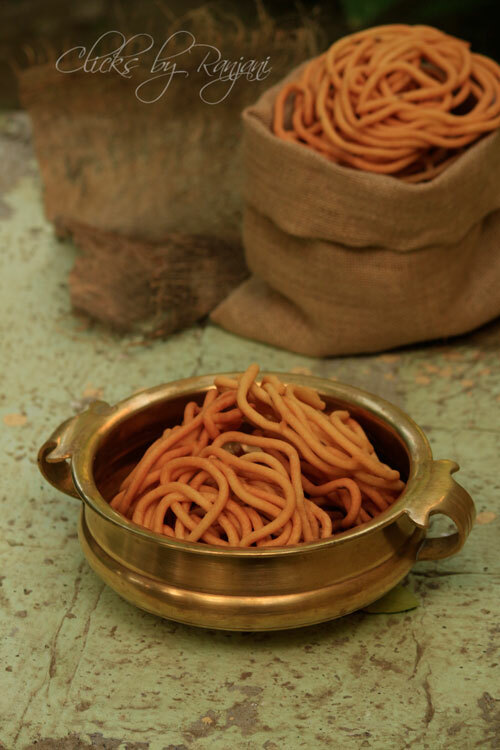 Thenkuzhal murukku recipe – a common snack for Diwali and other occasions. Wash raw rice with enough water and drain the water completely. dry the rice in sunlight for 4 to 5 hrs. Heat a kadai, dry roast urad dal till nice aroma comes. 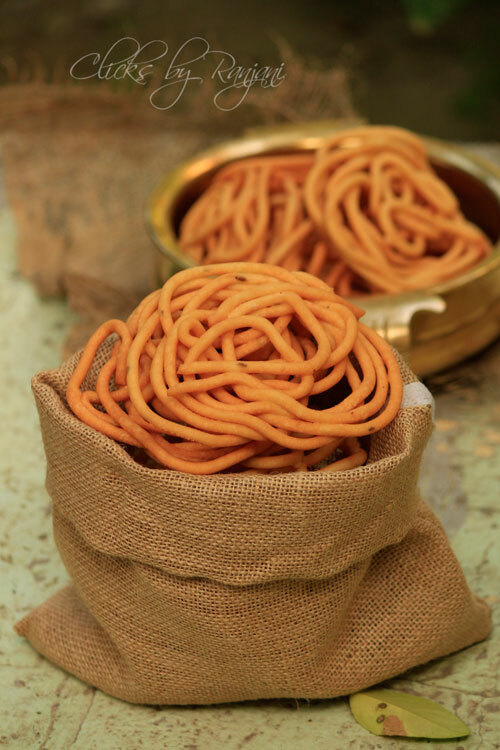 Combine dried raw rice and roasted urad dal together and grind it in flour mill if preparing in big batches. For the above-mentioned level, you can fine process in mixer. Sieve the flour, mix jeera seeds, salt, hing, and ghee. Stir using a spoon to combine all the ingredients. By adding water little by little knead as a smooth dough. The dough must be little thick. Don’t make the dough as loose by adding more water. 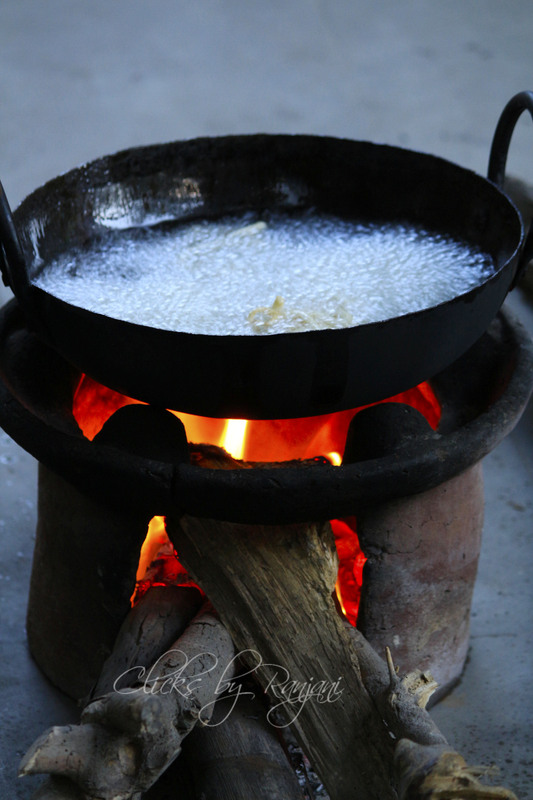 Heat a kadai, add enough oil to fry murukku. Keep the murukku press ready. 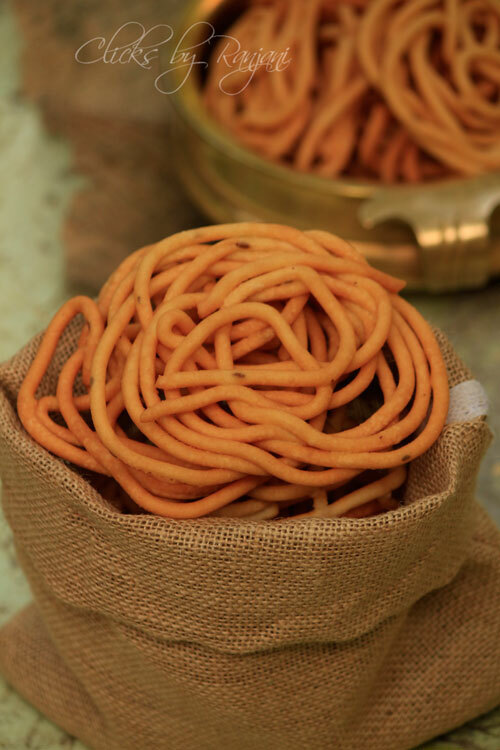 Take small portion of dough in murukku press and make muruku.place in oil and allow to cook. Fry both sides equally, drain oil and place on a kitchen towel to drain excess oil. Repeat the same process for remaining dough. 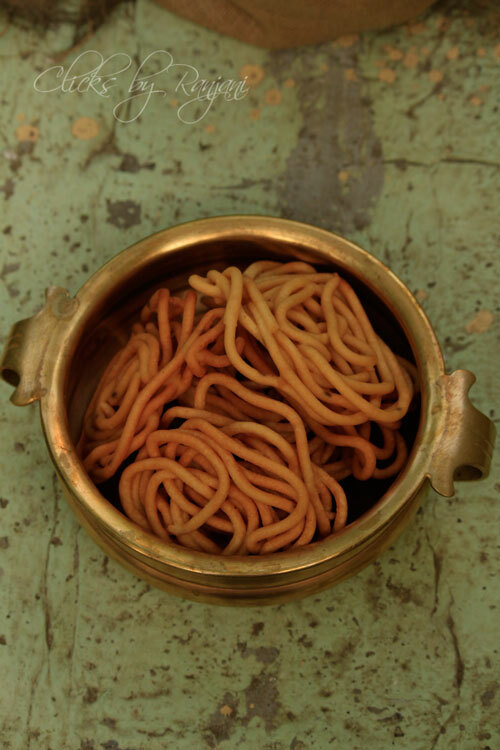 Once done , keep the murukku in air tight box. Perfectly made and so yum! Wow ! Beautifully made, love the texture and presentation..